Anaerobic digestion process was originally invented to treat manures and sewage sludge. But manures and sewage sludge are not the best quality feedstocks as they had already gone through a digestion process inside the body where majority of their energy contents had been consumed. So in order to enhance the gas production, recently focus has been shifted to other high energy feed stocks that can be blend with manures or sewage sludge and digest together. So, the primary feed stock in a digester may be manures and sewage sludge. Then one or more type of energy rich feed stock such as corn silage, food processing waste, slaughterhouse waste, FOG (fats, oils and grease), organic fraction of household waste/municipal solid waste etc. can be added to the digester and a higher methane and biogas production can be achieved. This process of blending and digesting two or more feedstock at the same time in an anaerobic digestion process is known as Co-Digestion. Greenhouse gas reduction: When food waste or organic fractions of municipal solid waste are dumped in landfill, they generate a large amount of methane, a known green house gas that usually escapes in the atmosphere. But if these same wastes are diverted from landfill and co digested in anaerobic digesters, almost three times higher methane production (US EPA) can be achieved. Waste to Energy: Most cities/municipalities are looking for ways to reduce waste to land fill and maximize recycling. By utilizing food waste and organic fraction of municipal solid waste as anaerobic digestion feed stocks, not only waste streams are minimizing but also valuable energy is getting recovered from them. Cost Recovery: Theanaerobic digestion plant can recover some of its operational cost from the enhance gas production/onsite power generation. They can also be benefitted from tipping fees for accepting food waste. Renewable energy generation: Due to Increase demand and scarcity of fossil fuels, increasing renewable energy production is more crucial. 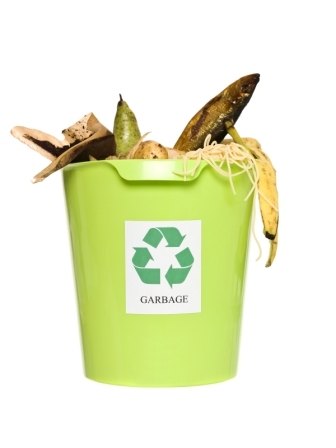 Co-digestion of food waste and organic waste allows enhancing the renewable energy production in terms of biogas generation that can be utilized in the plant itself and also can be sold to the grid when in excess. Environmental Pollution Control Technology Database (Free). Recent Advances in Anaerobic Digestion in One Document!